During spring time we decided to attack our main walk-in closet and give it a nice little boost. Thanks to Pinterest and Facebook we found out some ideas that helped with what we wanted to accomplish with our closet. 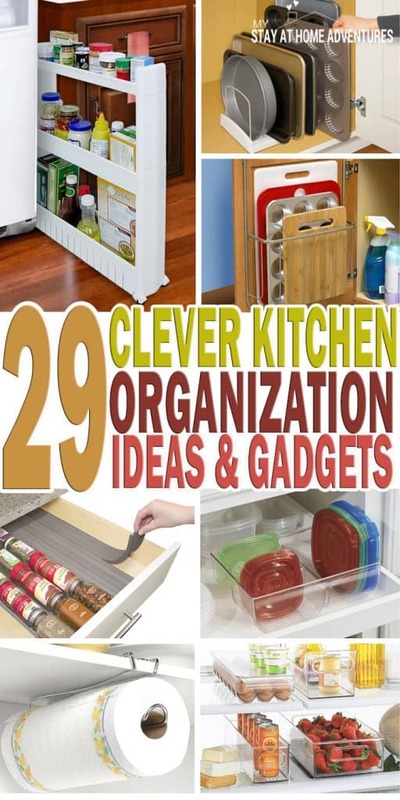 This fall we are thinking of doing the same thing with our kitchen and helping me, and you here are 29 Clever Kitchen Organization Ideas and Gadgets. I am frugal I know, and I love saving money. What I am not is cheap! You see I love good quality at a low price and to get the best out of what you want you must play a little more. 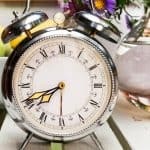 I also found out that some gadgets are a time saver when you have a household of 6 and a home business! What frustrates me when searching online for inspiration is finding an idea and not being able to find where to purchase it. For this reason, I decided to add the links to where you get it or something similar. If you find something similar at a lower price, please leave your findings in comments! I love to see what you can find that will save us money! Hope you find ideas that will work for you and your home. Enjoy these clever kitchen organization ideas and gadget as much as I did. 1. Check out these adorable hangable kid cups. When you are tired of seeing cups all over the counter and seeing dirty cups all over the place. 2. 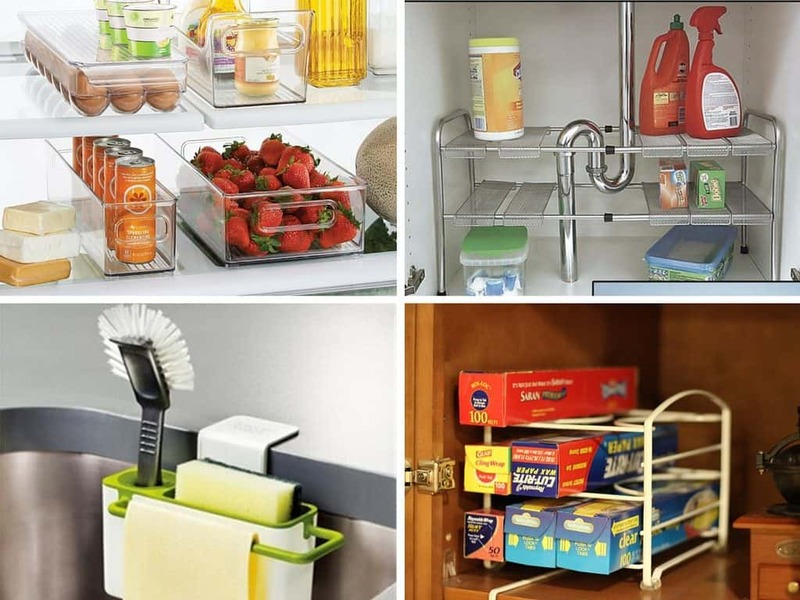 These affordable Multipurpose Fridge Storage Sliding Drawers will help keep the refrigerator organized. 3. To help keep the cutting boards in one place, this Over-The-Cabinet Cutting Board & Bakeware Holder will work. 4. To organize your spices check out this Spice Gripper Clip Strip. 5. 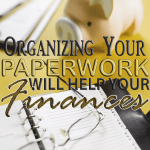 Need helping keeping your pans organized? 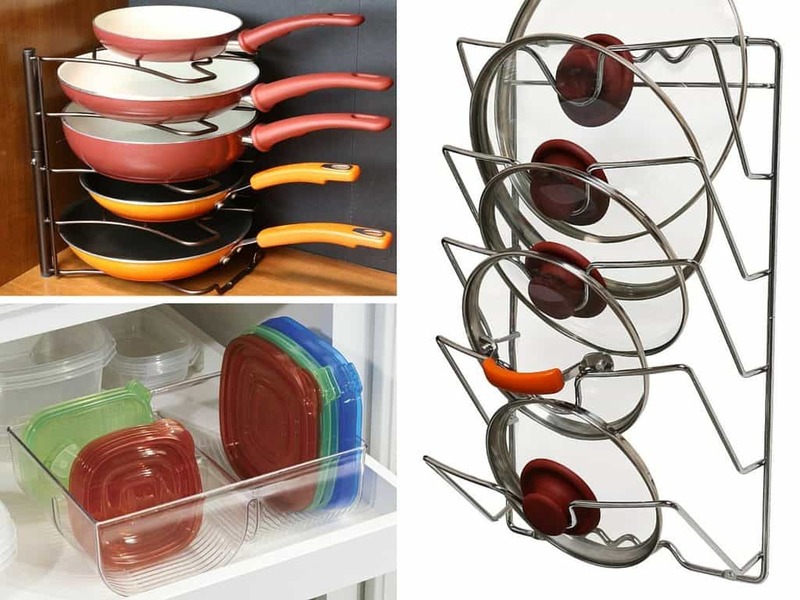 Check out this pan organizer rack. 6. Also this Wall Door Mounted Pot Lid Rack will help with your pan or pot lids. 7. Tired of lids been all over the place? 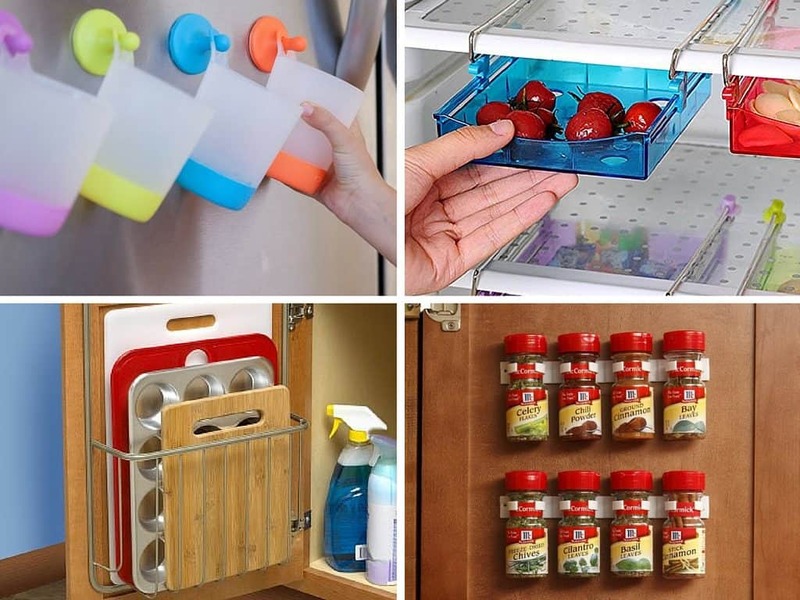 Check out this Food Storage Lid Organizer for Kitchen Cabinet. 8. Need help keeping your platters, pans, cutting board organized under the counter? This Adjustable Bakeware Rack can help. 9. This Drawer Spice Organizer will come in handy when you want to keep your spice drawer organized. 10. 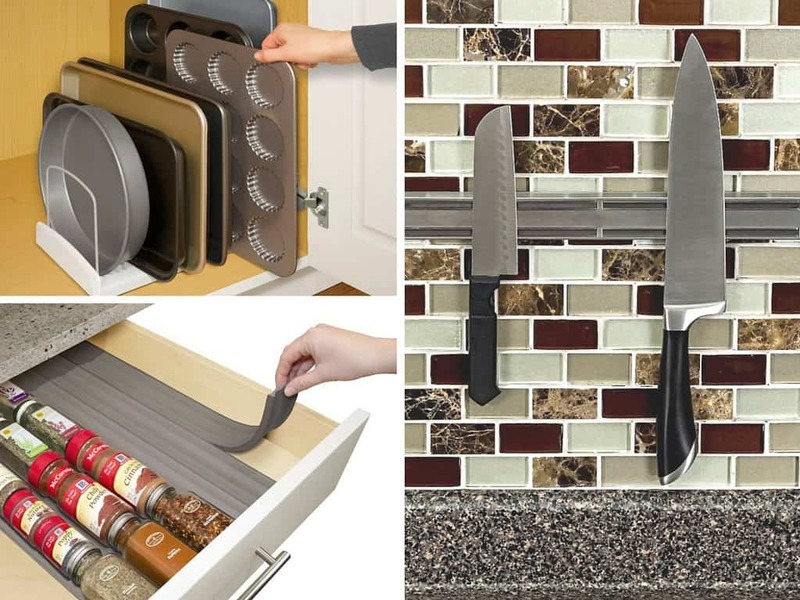 This Magnetic Knife Bar gives you more counter space and helps keeps your knives within easy grip. 11. Another great tool to keep your refrigerator organized is having these Freezer and Kitchen Storage Organizer Bins. 12. If having to keep the space under your sink organized a major pain, try using this Adjustable Under Sink Shelf Storage Shelves. 13. Find a great spot for your sponge and brush with this Kitchen Soap and Sponge Holder. 14. 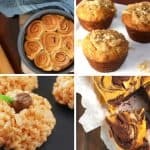 Need help with your foil and food wrap boxes? Check out this Kitchen Wrap Organizer Rack. 15. To get cabinet and countertop space try this Paper Towel Holder. 16. Add some Fridge Organizer Drawer Shelves with Cuttable Refrigerator Liners Set to give your fridge a colorful organized look. 17. Need to label some items in your kitchen? Check out these Chalkboard Labels. 18. 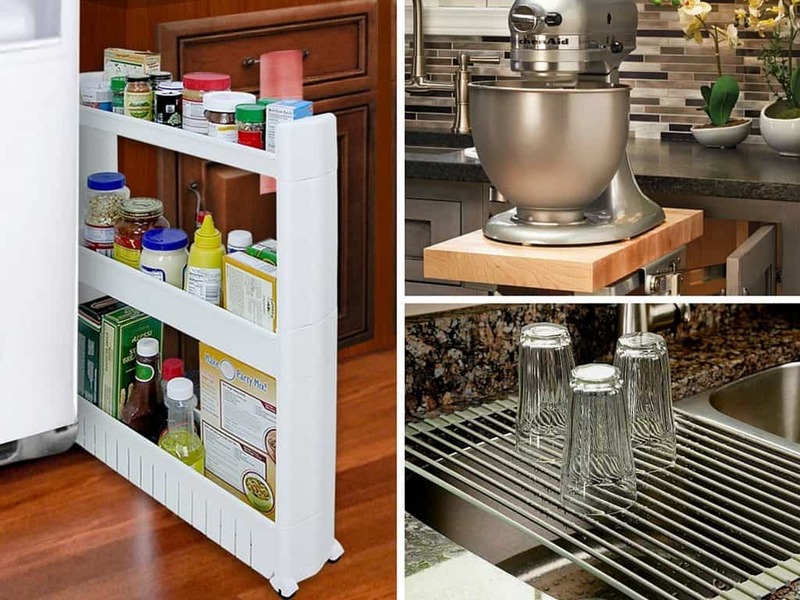 An Over-the-Door Pantry Organizer is a favorite item to have! 19. This Limited Edition Original SpiceStack store and organize 18 full-size or 36 half-size spice bottles. 20. This heat resistant Slim Oven Trim will make the area between your stove and countertop a cleaner look. 21. 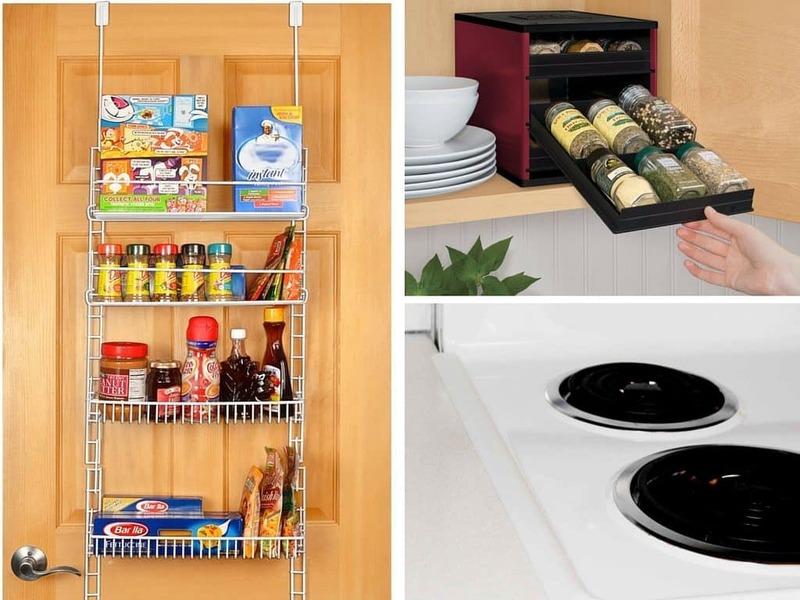 If you kitchen lacks space, create additional storage with a Slide Out Storage Tower. 22. Need a better place for your Kitchen Aid mixer? Check out this Full Height Base Cabinet Heavy Duty Mixer Lift. 23. This Over the Sink Multipurpose Roll-Up Dish Drying Rack works as a dish dryer, a vegetable colander, and a prep works platform. 24. Tired of fighting with the rest of the family to do their chores? Check out this DISHWASHER Magnet CLEAN DIRTY Sign Indicator. 25. I love this Kitchen Compost Caddy under sink mounted compost system and decided to add it to this list. 26. 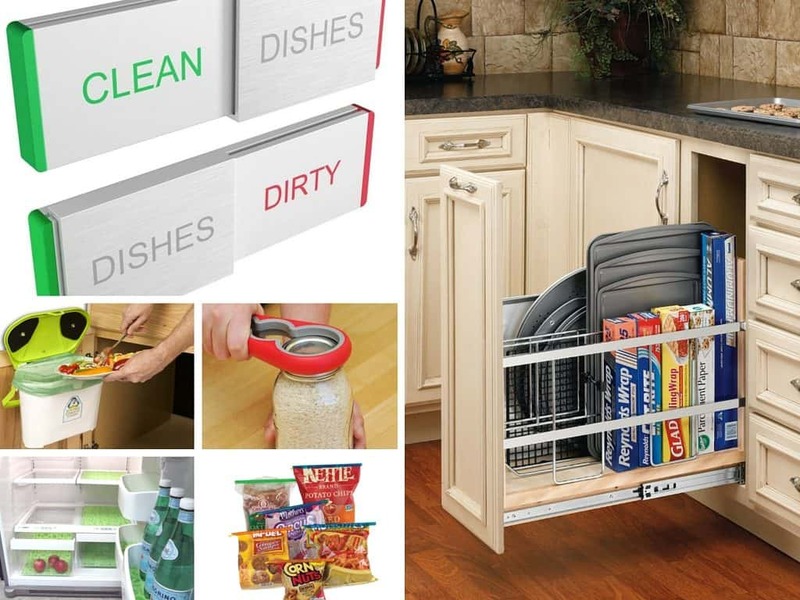 This Pull-Out Wood Base Cabinet Tray Divider and Foil & Wrap Organizer I know is a bit extreme but something to think about in my future kitchen remodel. 27. Chef Remi Jar Opener is designed for small hands and senior citizens. 28. 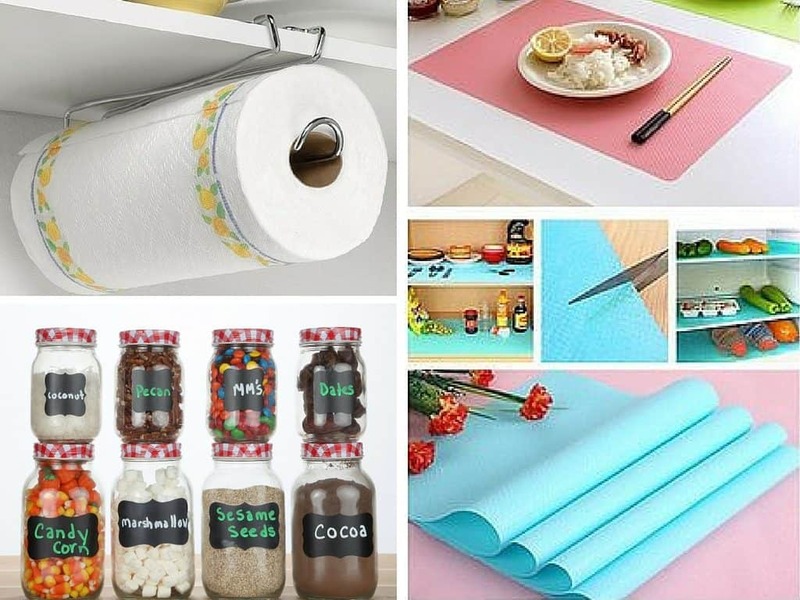 For shelves and fridge check out Millennium Washable, Non Adhesive Refrigerator Bins and Shelf Liners. 29. This gadget is one of my favorites, Premium Chip Clips Plastic Bag Sealer Stick to keep chip bags sealed. I love these ideas. the slim oven trim is high on my list, that gap between the stove and counters gets nasty and it drives me nuts. 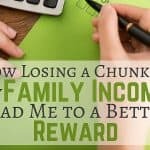 Stopping by from Share the Wealth and I hope you’ll linkup with our Pretty Pintastic and Small Victories Sunday Linkup parties both going on now! These are all such great ideas! Now I just need someone to come to my house and put all these things in my kitchen…LOL!